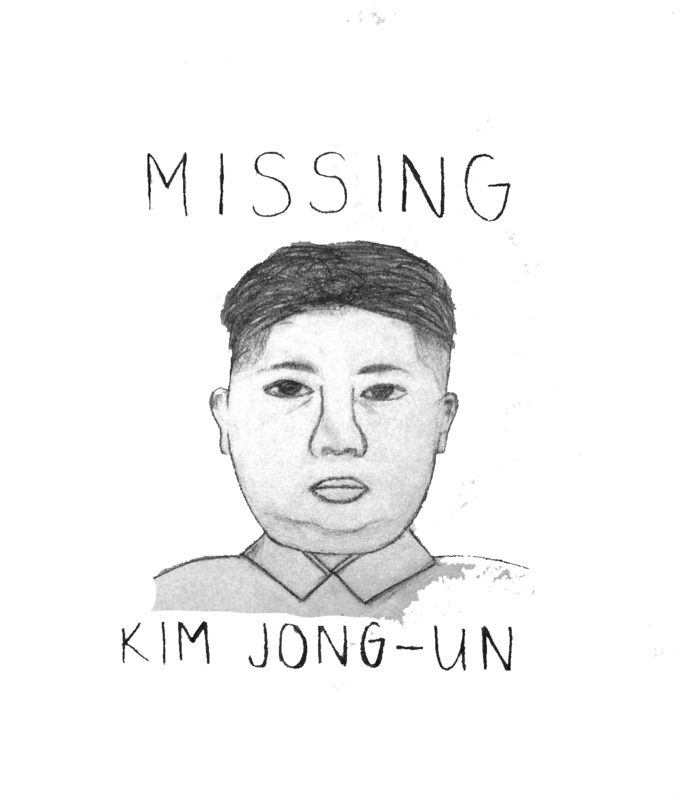 Online news media has sent out an unofficial missing persons report for the North Korean Supreme Leader Kim Jong-un. Now, in true North Korean fashion, the government has no comment on the matter. During the dictator’s absence, every news source has made its own speculations, ranging from a military coup to severe caviar-induced gout. Any person with an Internet connection has been able to witness the inflammatory nature of digital journalism. Last Friday, the North Korean Workers’ Party celebrated its 69th anniversary, with the country’s third-generation leader nowhere to be seen. His absence at the ruling party’s festivities, acknowledged only by the presentation of flowers in his name, further piqued the interest of writers following the retreat from the public Jong-un began on Sept. 3. In the absence of facts and answers, news sources have begun assuming the nature of the 31-year-old ruler’s disappearance: fleeing a military coup, injuries from a military drill, severe gout, and so on. The most interesting and obscene part of the media’s coverage of this international mystery is the invalidity of its projections. There is no proof to the speculations that any one paper, website, or other medium is claiming beyond anonymous tips, “U.S. Intelligence,” or pure speculation. Even when, and if, the stout Premier returns from his mysterious escapade, there is no guarantee that anyone — in or out of North Korea — will ever know what transpired in the 40-plus days that he has been internationally unaccounted for. On the same Friday honoring the two previous North Korean leaders, father and grandfather to the current, the festivities lost focus as machine gun fire volleyed across the boundary to South Korea, in reaction to anti-communist literature being air-ballooned North across the border. This mild, casualty-free skirmish might normally go unnoticed by the Buzzfeed-style articles that populate the top section of any Google search. However, the less the news knows, the more they have to report. The unraveling story of Kim Jong-un is a prime example of the unprecedented swelling nature of current news coverage. This is the prevalence of stories and articles that fill in blanks and missing facts with uninformed speculation. Jong-un is gone, no one knows why, and no one knows where he is. Should he return, there will still be speculation as the North Korean government continues to release nothing. News media will continue to be relentless in building the stories they want from empty space.